Fast and comfortable: a speedboat is the ideal craft if you are planning on spending a day at sea or travelling long distances. 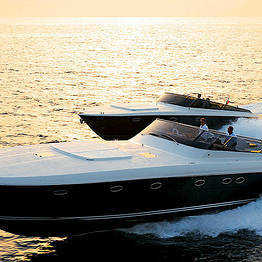 Speedboats are always rented with a skipper, and additional crew upon request. 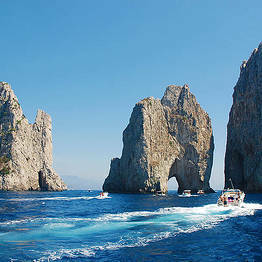 The speedboat rentals on Capri, Italy are used for both boat tours and trips around the island and for private transfers to and from Naples, Positano, Sorrento and other nearby locations. Boat companies which offer transfers to and from Capri include pick up from the airport or train station by private car, transfer to the port of departure, and a hostess at the port of Capri and taxi service to your island hotel. 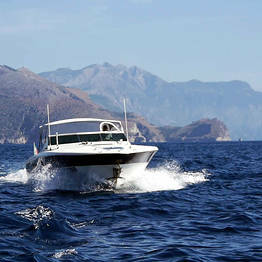 Speedboat rentals are also perfect for a full day at sea, and boat trips between Capri and the Amalfi Coast or the island of Ischia. Can I navigate the speedboat by myself? You must have a boating license to rent a speedboat without skipper. How many passengers can a speedboat accommodate? 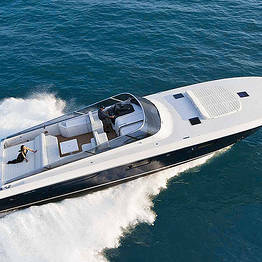 That depends on the boat model, but the largest speedboats can fit up to 16 passengers. What's the difference between a speedboat and a wooden gozzo? Speedboats are faster and have more space on board for dinettes, couches, and even cabins below deck. 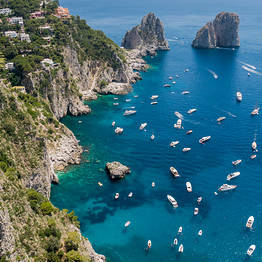 How far can a speedboat travel from Capri? 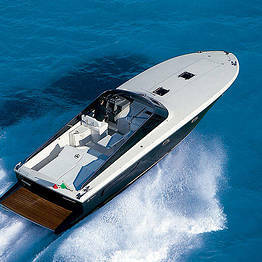 Speedboats chartered for transfers can reach Naples, Ischia, Procida, Salerno, the Amalfi Coast, and the Cilento Coast. How many suitcases can I take on a speedboat? Usually, one medium bag per person is allowed. 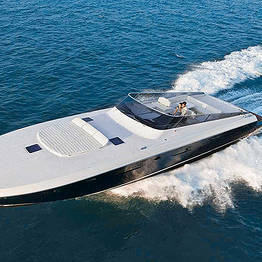 How much does a private transfer by speedboast cost from Naples to Capri? 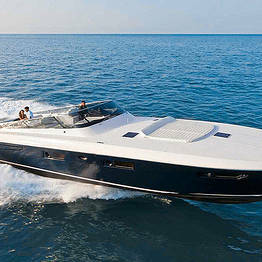 The average cost is around EUR 700, which can vary depending upon the model of boat. There are also supplementary charges for evening transfers.